Prepare yourself mentally for sewing. Think about what you are going to do. Never approach sewing with a sigh or lackadaisically. Good results are difficult when indifference predominates. Never try to sew with a sink full of dirty dishes or beds unmade. When there are urgent housekeeping chores, do these first so your mind is free to enjoy your sewing. When you sew, make yourself as attractive as possible. Put on a clean dress. Keep a little bag full of French chalk near your sewing machine to dust your fingers at intervals. Have your hair in order, powder and lipstick put on. If you are constantly fearful that a visitor will drop in or your husband will come home, and you will not look neatly put together, you will not enjoy your sewing. 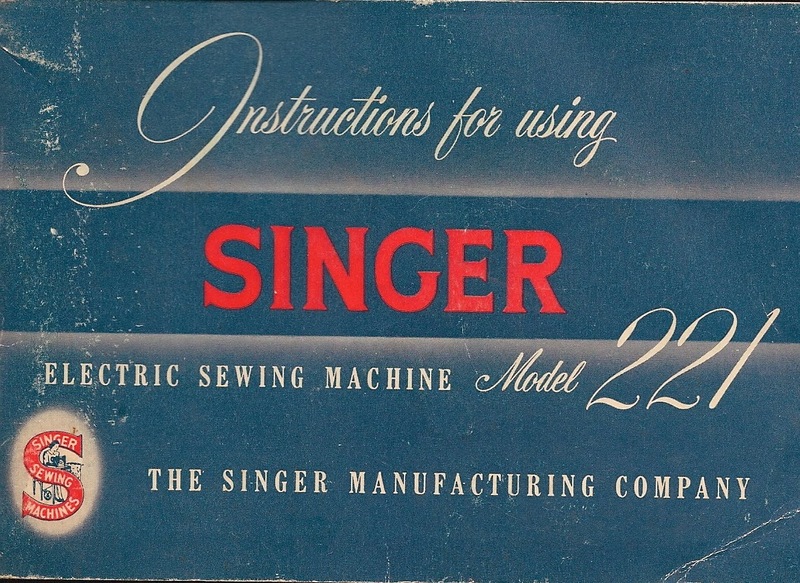 Both my mother and mother in law were sewing for their families in the late 1940s. This is the 'advice' they were getting! 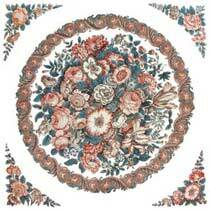 Please see one of my Chintz Center Medallions in a quilt by Hilda. It is about 1/2 way down the page...under Medallion Final Border. Her work is very beautiful!